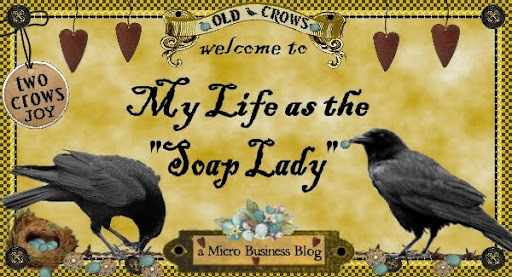 My LIfe as the "Soap Lady": One of my favorites! If you are a fan of Soy Candles, you already know how wonderful they are, here's a hint as to one of the benefits provided by Whitehall Candle: Soy "wax" is a natural and renewable resource, unlike paraffin wax which is a byproduct of the petroleum industry. Soy candles give off considerably less soot than paraffin candles and burn cooler and slower thereby lasting longer. Our soy wax comes from farmers in the Midwest and is biodegradable. and I have been a fan for ages! 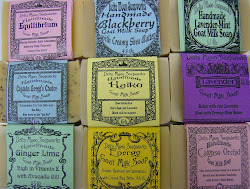 they also do wedding favors, corporate gifts too. 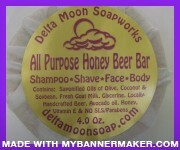 They just recently introduced this line, made with pure essential oils! If you're in the Market for an amazing gift or treat for yourself, start there!